Now that we have all recovered fully from amazing Homecoming Weekends from our either attended or prospective HBCU’s, Xfinity on Demand’s Black Film & TV destination is proud to present The HBCU Experience, a new and first-of-its-kind content collection celebrating Historically Black Colleges and Universities (HBCUs) throughout the nation. College sports fans wanting to keep track of their favorite HBCU teams can visit the “Upcoming Games” section for listings of games airing live as well as view up-to-date rankings and stats of their favorite teams. 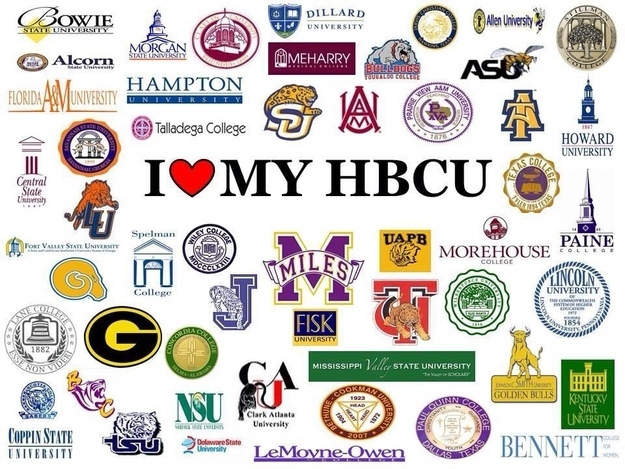 Historically Black Colleges and Universities began to emerge in 1837 (Cheney University in Pennsylvania was the first) and were established to serve the higher education needs of the African American community after African Americans were barred from attending traditional institutions of higher education. These public & private Institutions now number over 100 and according to the UNCF, represent 10% of the African American student population at universities across the nation. HBCUs have historically played a key role in civil rights and student activism, and they continue to serve as important vehicles for the community’s overall progression. 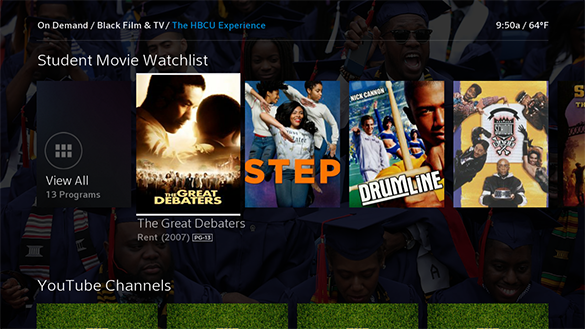 For easy access to this collection, simply say “The HBCU Experience” or “HBCU” into your X1 voice remote.